Take advantage of the Early Bird prices – ends 20 April! 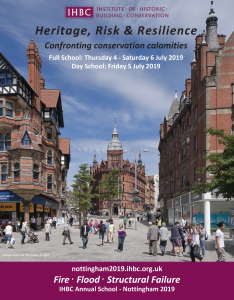 The focus of the School will include Fire, Structural failure, Terrorism, Heritage at Risk, Flooding, Law & Philosophy, providing some of the best value heritage learning and CPD around – up to 24 hours over the 3-day Full School, including networking, or up to 9 hours for the Day School and AGM. 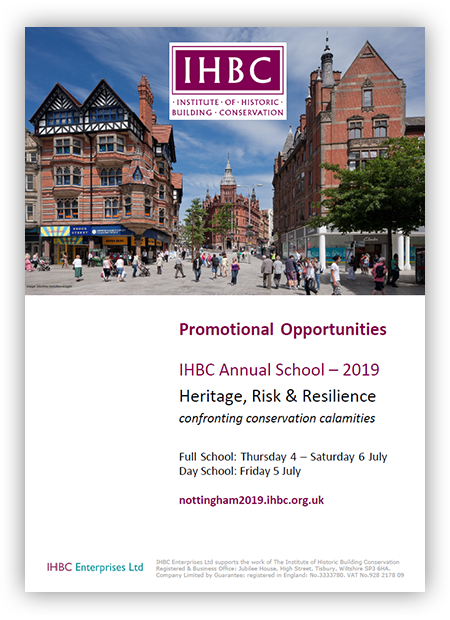 If you want to promote your business, agenda or learning to IHBC members and colleagues, then check this out to find our most cost-effective ways and means!